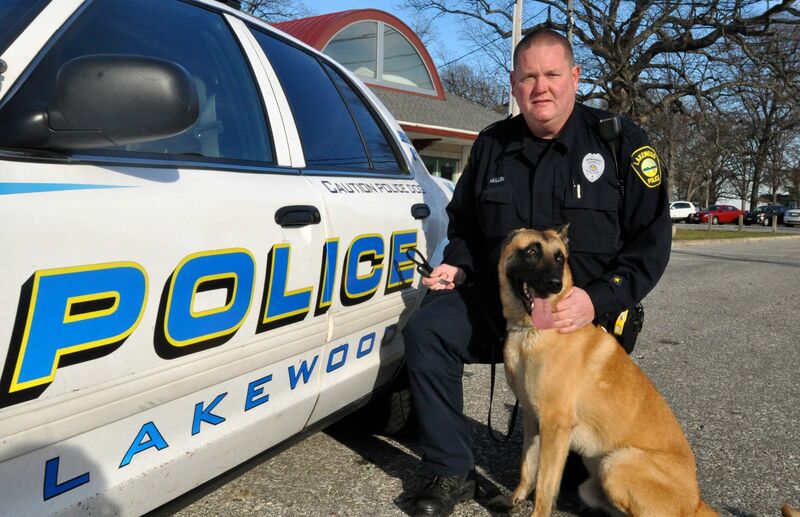 The Lakewood Police Department recently signed on its newest member. He specializes in sniffing out drugs, tracking dangerous criminals, recovering evidence and saving lost children. 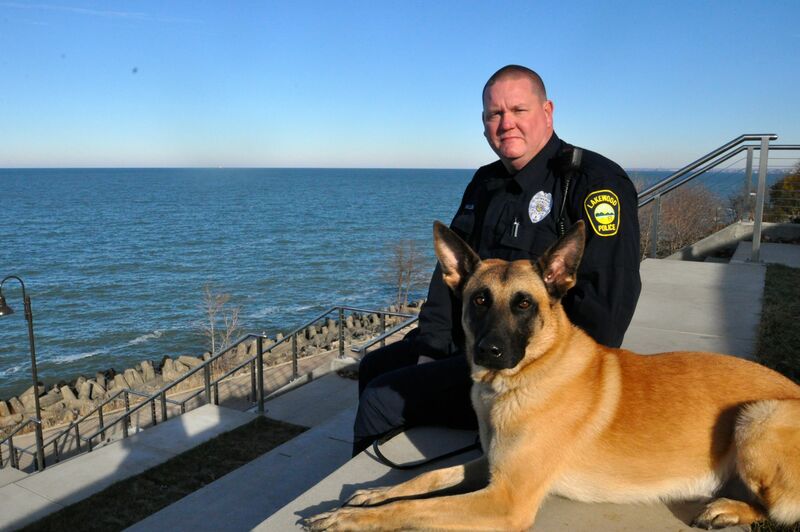 Dano, an 18-month-old Belgian Malinois, moved to Ohio a few months ago from Holland to begin his duties as a member of the department’s K-9 unit. Technically a police officer, Dano, will assist the department in a number of ways as a “dual purpose” K-9. His partner and handler Patrick Mullen trained for several weeks with Dano before they started on patrol together Nov. 16. Dano has some big paws to fill. Mullen’s last K-9 Robby — a six-year veteran of the department’s K-9 unit, who died last February following a battle with a blood disease — had found untold amounts of drugs, apprehended some dangerous criminals, and tracked down a couple missing children. The city was able to buy the newest addition to the K-9 unit thanks to donations from a group of second-graders at Hayes Elementary School and an anonymous donor, who initially agreed to pay for half, and later decided to cover the entire $15,000 cost. “This is the sort of thing that brings the community together,” said Malley.